Posted on Июль 30, 2018 by Татьяна Н.
Продолжаем изучать будущее время в английском языке. Упражнения отрабатывают все способы выражения будущего времени, поэтому предназначены для учащихся на уровне intermediate (уровень 2). К каждому упражнению предлагается список ситуаций для лучшего понимания, какой способ выражения будущего времени нужно использовать. Эти тонкости необходимо знать на уровне intermediate изучения английского языка. Научившись различать эти ситуации, вы будете легко справляться с тестами по данной теме. Упражнение 1. Will vs be going to. be going to — запланированное действие в ближайшем будущем: намерение, план. 1. I’m ill. I_____________(call) the doctor. 2. — Tim has broken his leg and stays at home. — Sorry to hear that. I _________(visit) him tomorrow. 3. It’s Julia’s birthday today. She’s bought much food. She________ (cook) a lot. 4. — My bags are terribly heavy today. — Really? I ______(give) you a lift. 5. — Do you know Kate’s phone number? — I’ve bad memory for phone numbers, but I ______ (look) for it in my notebook. 6. My uncle has bought bricks. He ___________ (build) a house in the country. 7. — Has he decided how to spend the money? — Yes, he ____________ (buy) a car. 8. — Haven’t you taken my key? I can’t find it. — Just a minute. I ____________ (look) for it. 9. — Jack didn’t pass his exam yesterday. — Oh, what ______he ________ (do)? 10. — There is somebody at the door. — I___________ open. will — конструкция there is/are в будущем времени. A. Will vs Shall. Употребите один из случаев выражения будущего времени в предложениях . Объясните свой выбор. 1. I ‘m tired. I … (go) to bed. 2. … I … (answer) the question? 3. I hope this test … (not to take) long. 4. You … (arrive) in Paris tomorrow evening. 5. Do you think that Diana … (come) to the party tomorrow? 6. I strongly believe that there … (not to be) any wars in the world. 7. Dad … (present) Mag a personal computer, … he? 9. The boy …(remember) this day all his life. 10. If I … (be) free tonight, I … (join) you. B. Will vs Shall. Употребите один из случаев выражения будущего времени в предложениях. Объясните свой выбор. 1. It’s late. I think I _________(take) a taxi. 2. We don’t know their address. What ______we _______( do) ? 3. Perhaps they ____________(buy) a new house this year. 4. I’m afraid they ___________(not to wait) for us. 5. He ___________(be) fourteen next year. 6. I’m not sure I ____________(find) Jim at the hotel. 7. Everybody thinks they ___________(not to get) married. 8. Do you think it ____________(rain) ? 9.____________ there ____________(be) medicine for every kind of disease in future? 10. When my brother ______________(finish) school, he _______ (go) to college. Упражнение 3. Употребите один из случаев выражения будущего времени в предложениях. Объясните свой выбор. Present Continuous — запланированное действие в ближайшем будущем: личная договоренность с людьми. 1. We (have) a party next Saturday. Would you like to come? 2. I (not/go) away for my holidays next month because I haven’t got enough money. 3. The concert (start) at 7.30 in the evening. 4. George, is it true that you (get married) next week? 5. The art exhibition (open) on 3 May and (finish) on 15 July. 6. What time … the next train (leave)? 7. Ann, we … (go) to town, … you (come) with us? 8. I (have) lunch with some businessmen next Wednesday. 9. My Uncle John from America (visit) us soon. 10. The examinations (take place) next month as announced. Упражнение 4. Выберите лучший или единственно правильный вариант выражения будущего времени. 1. When (do / will) our classes start tomorrow? 2. The train from Liverpool (arrives / will arrive) at 7.30. 3. I don’t think the train (arrives / will arrive) on time. 4. I (will apologize / apologize) if you (will explain / explain) to me why I should. 5. I (will play / am playing) football tomorrow. 6. I (will promise / promise) I (will phone / phone) my granny. 7. We (will go / are going) to St. Petersburg soon. 8. What time (does / will) the bus arrive in Cardiff? 9. Alec (is going to write / is writing) a letter to his parents in the evening. 10. We are having a party on Saturday night. (Will you come / Are you coming)? 1. It ____________probably________(not to rain) in Europe. 2. ______you_______(to come) to my house, please? 3. — Why have you got the flowers? — Because I____________(to visit) my teacher. 4. — I invite you to come to the party. — OK. I___________(to bring) my friend. 5. — I____________(to walk) the dog. — Wait a minute, and I___________(to come) with you. 6. I _________probably never_________(to learn) this poem. 7. I_____________(to stop) smoking. 8. — Have you decided what to buy Alex for his birthday? — Yes, I _________(to buy) him a computer game. 9. I love drawing. I____________(to be) a fashion designer. 10. — How about going for a picnic at weekend? — That’s a good idea. I___________(to make) a cake. 11. — What presents do you think people__________(to give) you next Christmas? — I think my father________(to give) me a book. Somebody___________(to give) me perfume. I don’t think anybody___________(to give) me a laptop. 12. — What _______fashion______(to be) like in the year of 2000? — I’m sure people_______(not to wear) long dresses and suits. Clothes________(to be) comfortable and simple. 13. Next century_________(to begin) on the 1st of January. 14. How long____________(to take) you to do the work? 15. John,________ (to do) me a favour? 16. When______you___________(to visit) your grandma? — Probably next year. 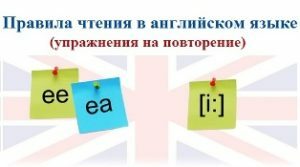 Продолжаем изучать английский язык на сайте englishinn? This entry was posted in Времена глагола.